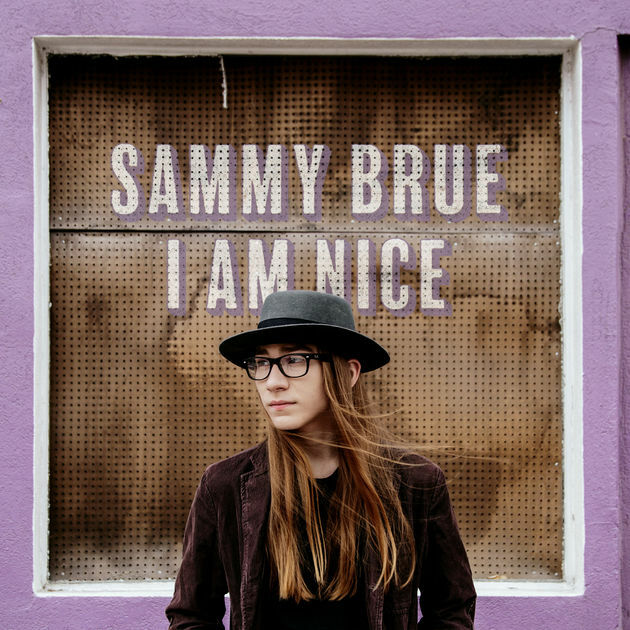 It would be easy to simply dismiss Sammy Brue’s debut LP “I Am Nice” as little more than a novelty. It’s the work of a 15-year-old, so naturally a raised eyebrow or two can be expected. However, that kind of simplistic thinking is moot just one song into the record as you quickly learn, Brue is a fantastic singer/guitar player and an even better song writer. It seems appropriate that Justin Townes Earle was an early supporter of the musician, as they have a very similar style: low key and deceptively beautiful. Earle met Brue at one if his shows and has since asked him to open some shows. The two now share a home at New West Records. Brue self-released two EPs before the release of this full length, so any rough edges and kinks have all been smoothed out at this point. “I Am Nice” is a dozen mellow-ish Americana tracks that also dips in and out of rock occasionally (the buzz guitar on “Control Freak,” is a perfect example of Brue’s excursions into louder corners of the music world). Lyrically, he is smarter and subtler than some of the veterans that have been putting miles on the tour van for decades now. If Brue is the future of Americana we’re in good hands.